I f you can afford it, rent a holiday cottage in England with a swimming pool for a really nice time. Even if you are out all day sightseeing, it is always nice to be able to swim and relax on your return. Children are instantly entertained by having a swimming pool to use. It is rare to find an independent cottage with a swimming pool, and even rarer to find a small cottage with its own pool, more often one finds groups of cottages centred around a pool in a holiday park, but that is fine. You may have to share the pool with other guests but that also means instant friends for your children during their holiday. One good thing about life in England is the high percentage of towns with a swimming pool, so that even if you rent a holiday cottage without its own swimming pool, the chances are that you will be able to use the local pool. 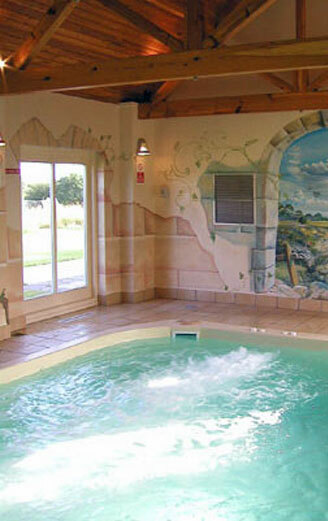 Some holiday cottage owners offer their guests free use of swimming and leisure facilities at their private leisure clubs. This is also a very nice extra. These clubs often have a good number of additional facilities such a steam room, jacuzzi and sauna. You know that you would love to be able to holiday in England, so why not take a look at the most important requirement: accommodation. A stay in a rented house, cottage or apartment in England for any more than 4 people usually works out much less expensive thana hotel break and you can continue to buy and eat the foods that you are familiar with back home. If you can stretch to that bit further and would like to have use of a swimming pool on holiday, do either look at cottage holidays with swimming pools or investigate the leisure facilities in the nearest town before booking.